A friend of mine from out of state recently contacted me and asked if I would make several sets of cards for her. She wanted them to for a small acuction and craft fair that was being used to raise funds for breast cancer research. She is participating in the walk and also, more importantly, is a breast cancer survivor. I told her "of course" and so these sets are what have been occupying my time this past weekend. Her main request is that they be pink....or have lots of pink in them. I found some paper raging from fushia to bubble gum to pastel and got started. I think that I will post two sets at a time so as to protect you all from pink overload! I am pleased at how these sets are turning out and each set is comprised of 6 cards. I warn you now though, the fushia cards don't photo well. They seem very neon and glarey in the photos which in real life they look pretty fab! I am not sure how my friend will be selling these....I am not sure if they are going to be part of assembled baskets or what. I often send my chemo - peeps sets of breast cancer related thank you cards and note cards for quick thank you"s to all the people who help them with meals, rides for their kids etc.....this way the recovering person can always have a card on hand. 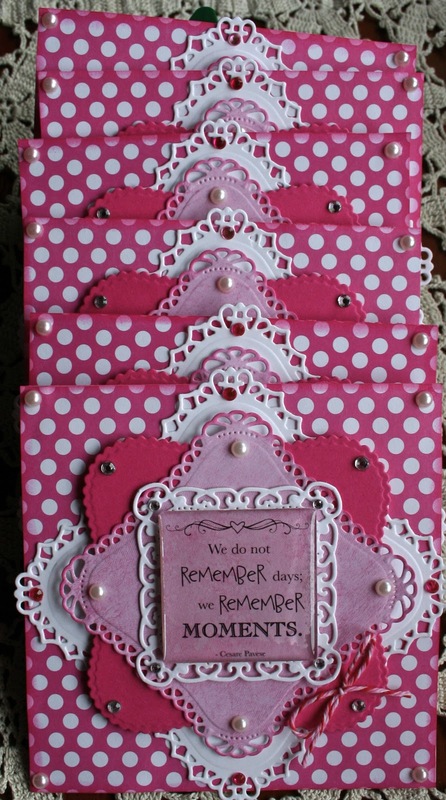 Many times I also make packs of all occasion cards for that same reason. 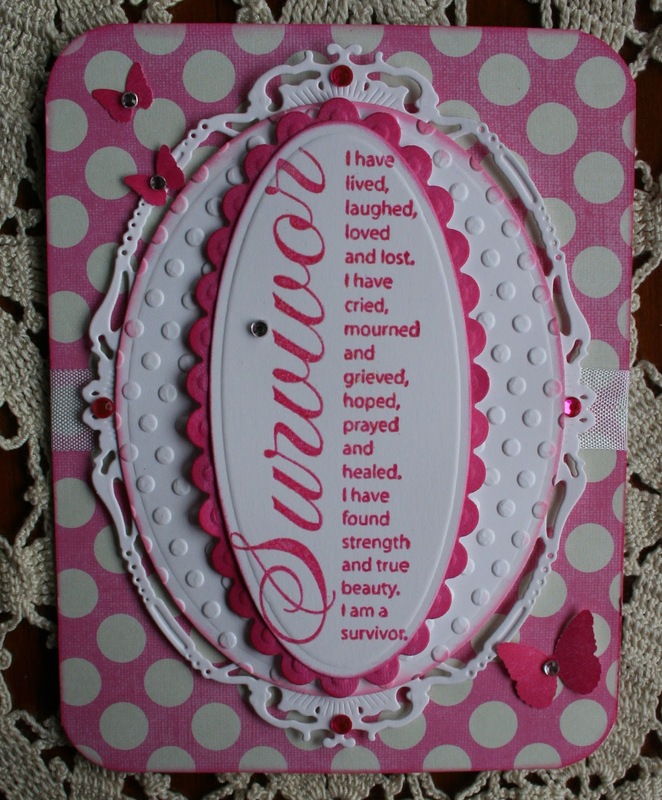 Here is the first set: I had found this wonderful "Survivor" stamp and thought that I would scoop it up as since I do the "Chemo-Angels" program I knew I would get a lot of use out of it.. I love the sentiment. As you can see, the fushia looks bad but irl it is really a wonderful highlighting color. 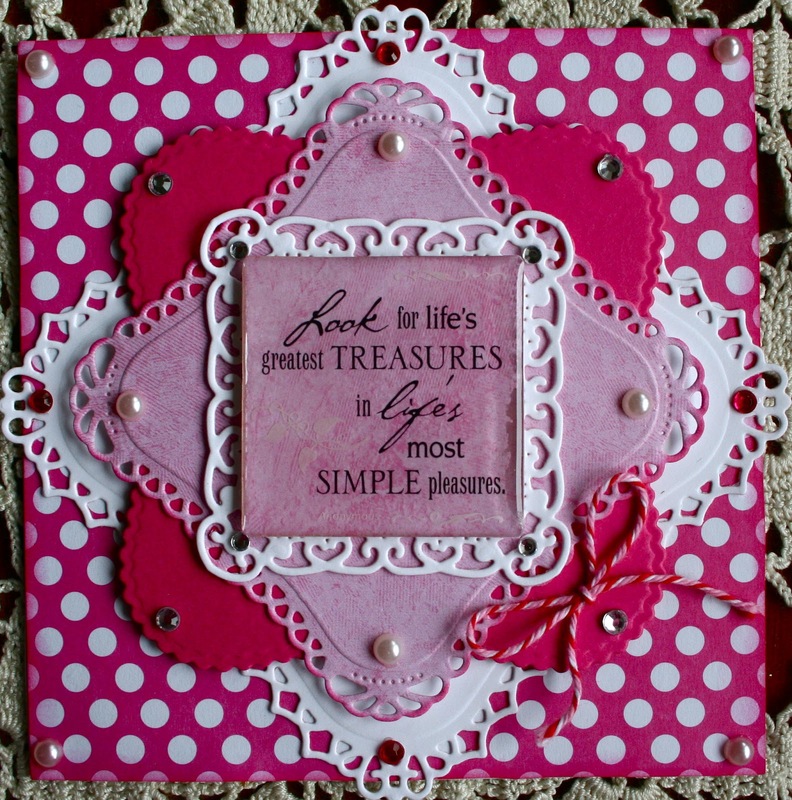 The second set that I am going to show today uses the fuschia polka dot pp as well as fushcia card stock paired with some pale dust pink. I then had picked up these sentiment sheets at JoAnn's on sale. They are slightly raised or domed plastic that is sticky on the back so one can peel them off and place them on to any light colored cardstock to coordinate with a card. Each sheet has about 20 phrases in various sizes and shapes and they all pertain to a certain theme. 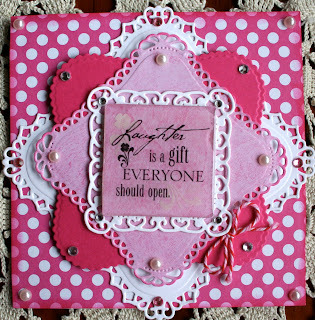 I like them for sets as they give me a wide variety of sentiments with out having to own a wide variety of stamps. Once I put them on my paper I simply cut around the form with a pair of scissors. 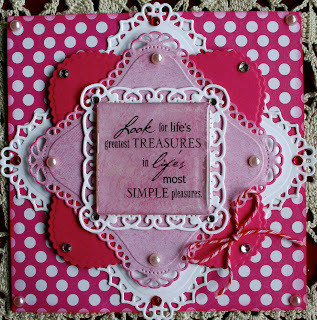 Then I usually pop them up on dots and place them on a larger accenting die cut. I pick them up as they are on sale alot! This particular set has different sentiments on each card...I have highlighted two. Aren't these wonderful little expressions? Well, thank you for popping by and I really appreciate the time you take to visit my blog! Tomorrow I will be back with more sets! I'm just catching up from having been out of town - whoa, girlfriend! Have your fingers (and brain) ever been busy! Can't believe the love tucked into each of these beauties! 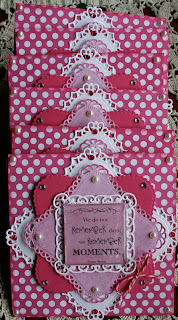 Such a stack of pink loveliness, each one more special than the last. You are really something - hugs to you! Wow, sheila! You are amazing to do this and came up with these fabulous and thoughtful designs! They are going to be cherished as they are work of art! These are all beautiful Sheila! Great for such a good cause. wow you are a card making machine. These sets are fantastic. 2 wonderful sets of cards, Sheila! I especially love the second one. 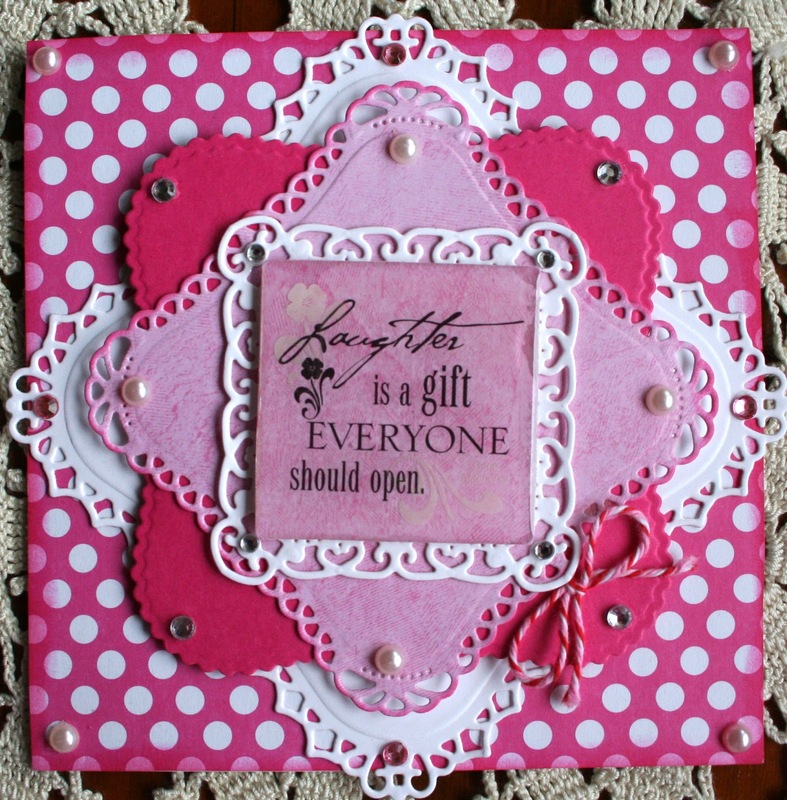 Wow, Sheila - amazing sets of cards - what masterful layering :) Looks like so much work went into them!